In a post last week, I mentioned the hummingbird that perched on the water spray coming from my hose one summer morning. These little birds have built a nest high up in the fir tree next door. 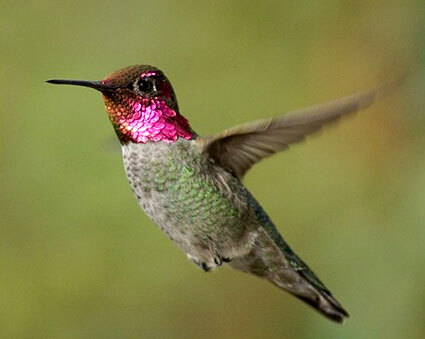 Unlike many other kinds of hummingbirds, they don’t migrate south for the winter. This got me thinking about how little I know about them. I decided to investigate further. In my search for information, I learned that this particular hummingbird is an Anna’s hummingbird. I found a website and learned more. 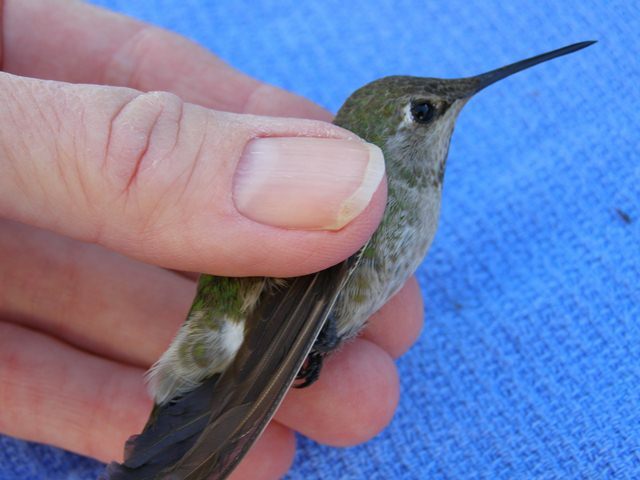 This photo shows just how tiny these very special creatures are.